It’s February, how are your New Year’s resolutions looking one month into the new year? These early months of the year are always the time when we think about who we are as people, examine our habits, and make promises to do better in future. Sadly, most people break their New Year’s resolutions before February begins, so as we enter into the second month of 2018, we find ourselves struggling to commit to the changes we had once thought so manageable. 30 days ago we were ready to tackle anything that came our way, today? Let’s keep that momentum going. Being back at work is tough enough without forcing yourself into a new routine that drains you of your time and energy. It’s vital that you make your resolutions as easy to adhere to as possible by implementing simple changes. For example, you may think that getting up to go for a run at 5am is a great idea, but it’s the kind of lifestyle overhaul you won’t want to stick to. 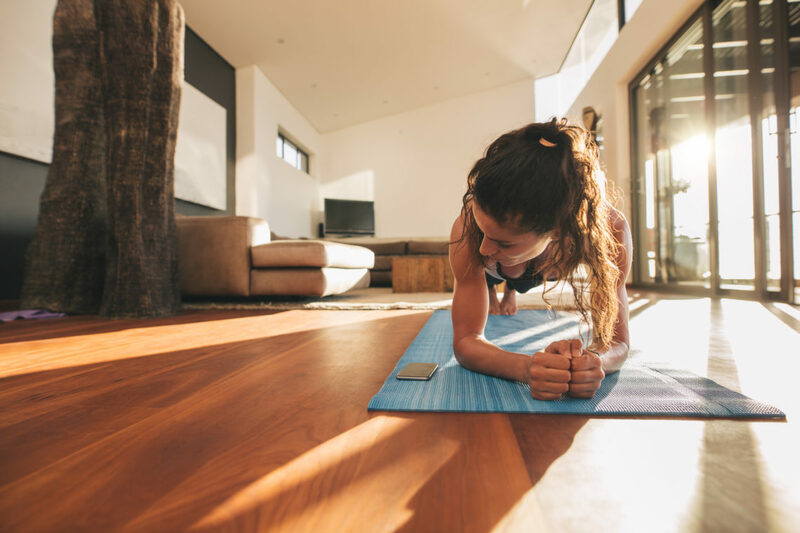 You’re far more likely to achieve your goals if you make them realistic; so in this example, you’d opt for a quality home gym that means you can workout at your convenience. All other resolutions can be modified in the same way. Make the entire process as easy as possible and you’re more likely to stick to it. Most New Year’s resolutions have a tendency to be a little wooly: “I want to lose weight” or “I want to get into shape”. These are too vague to truly stick to. Instead, opt for specific goals that you can meet throughout the year; i.e. “I want to lose 20lbs by March” or “I want to be able to run a half-marathon by June”. These goals help to focus your mind and give you a focus that a generalised resolution won’t. If you’re making a major change to your life, you’re going to need a support system– it’s unwise to rely on willpower to see you through. You’ve made it through January, now is the time to talk to your friends and match up with those who have similar goals to you, so you can keep one another going when energy and determination is waning. Sometimes, it helps to have another person keeping you in check and encouraging you. So call your best friend and get together for a run, that may be just what they needed to hear to get them back on track as well. For many people, their New Year’s resolutions sound like a huge list that requires a major lifestyle overhaul: “I want to get fit, lose weight, fit into my ‘skinny jeans’, quit caffeine, and spend more time doing volunteer work”. All wonderful ideas, but a huge change to embark on. Instead, keep your goals simple, narrowing down to one or two changes that are most important to you. It’s not too late to edit your 2018 goals. That’s the beauty of staying fit. As long as you have the motivation, progress is progress. And nobody can take that from you. The first of every month is your day to evaluate how you’re progressing towards your goals. Is there something you need to tweak? Is there a resolution that has proved impossible to adhere to in the way you hoped? Don’t expect your ideas for your future on December 31st of the previous year to still be relevant in six months time– keep resetting, evaluating, and making changes. Hopefully you will find the tips above let you sail through the year with your resolutions met, and your life transformed!